We’re pleased to expand our world-class photography coverage this Spring to yet another new audience: C.B. East Ladies Track & Field. Welcome athletes, families and track fans to our world of very special image-making, where every image we post here and in our proofing galleries is publication quality at its finest! You may even find an inspiring “sports portrait” among our images that you’d like to use as a theme image for a unique Poster Montage — or perhaps even a personalized photo session. Seniors, we’re always happy to discuss any creative portrait ideas you may have — either before graduation or during Summer months before you begin life’s next chapter! Meanwhile, our Lightbox Gallery below features some of our favorite images from Tuesday afternoon’s competition against Souderton. Just click on any of the thumbnail images to enlarge them… and optionally view the next or previous image in the Lightbox — one by one at your own pace. Enjoy!!! Stay tuned to our blog for more C.B. 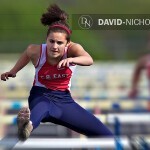 East Ladies Track images this season, and don’t forget to visit the C.B. East Ladies Track 2010 Season photo gallery where we’ll post these and many more great images soon! Special Note: Due to the unique nature of track competitions where multiple events are occurring simultaneously, please contact the studio directly if you’d like to request special photography coverage at an upcoming event. We’ll do our best to accommodate special requests as our Spring schedule permits. We’re proud to have set the standard for great images over the years, and we’re happy to welcome a new audience to our world! We’ve updated the C.B. 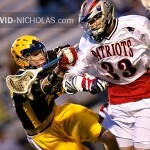 East Mens Lacrosse 2010 Season photo gallery with more great action images from recent Patriot victories in the past two weeks, including two cross-town rivalry contests with C.B. West and C.B. South as well as yesterday’s overtime win in the rain against Holy Ghost Prep at War Memorial Field. Some featured images from each game are included in the Lightbox Gallery below… more in the galleries. Enjoy!!! More images from this game — along with many more images throughout the Lady Patriots’ season — will be posted soon in the C.B. 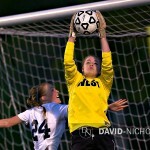 East Ladies Soccer Spring 2010 Season photo gallery, located in the online proofing section of our website. Enjoy!!! CBE Softball: Welcome to Our World! 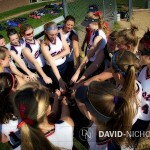 Lady Patriots Softball, welcome to our world!!! New for Spring 2010 — and by popular request — we’re bringing our world of great image-making to Lady Patriots Softball and their families and fans. We’ve created a C.B. East Softball 2010 Season photo gallery in the proofing section of our website, where we’ll be posting more action photos and sports profile images throughout the season as our schedule permits. Meanwhile, we’ve included 10 featured images (from a recent softball game against Nazareth Academy) in the Lightbox Gallery below. Enjoy… and again, welcome!!! Central Bucks East grabbed an early lead in their Wednesday evening match against Souderton at War Memorial Field, and the Indians never really had a chance to regroup. Our 10 selected Lightbox Gallery images below feature some new Patriots to our blog alongside regular Varsity starters, and the C.B. 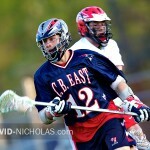 East Mens Lacrosse 2010 Season photo gallery has been updated with 60 new images — many of which make great sports profile content for our new artistic poster designs. Enjoy!! !